Brokers are divided on whether they feel Finance Minister Jim Flaherty stepping down would benefit the mortgage industry, despite the finance minister’s history of instituting unpopular mortgage measures meant to cool the market. MortgageBrokerNews.ca ran a poll asking its readers whether Jim Flaherty stepping down from his post as Finance Minister would be preferable. And opinions were almost completely divided, with 46 per cent preferring the incumbent to run again. For his part, Flaherty has hemmed and hawed when asked about his political future; expressing both a desire to run again and then, most recently, that he is unsure whether or not he would run in 2015. Flaherty, of course, has made a number of mortgage rule changes; the most recent of which occurring in the summer of 2012. And although the changes have been unpopular, brokers may feel more comfortable with the incumbent minister than an alternative. Still, some may wonder what stance a Liberal or NDP candidate may take regarding the housing market. “I think they have a little more socialist agenda so I think they’d probably be more interested in helping the first-time buyer,” Lane mused. I hope the knee jerk reactionary heads for the hills with his crony Rob Ford both should retire to the dust Bin of life unfortunately I am sure there are several plum appointments waiting for Mr. Flaherty on boards of the Big 5 for whom he as performed as an admirable marionette! I agree with Nick. 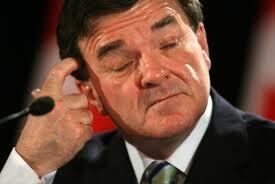 and also I do not believe that Flaherty is elected. I believe he is appointed. @ Gaylene: Flaherty is elected to sit in Parliament by the voters of the Whitby-Oshawa riding (well, 58% of them anyway); he is appointed to Cabinet by the PM.